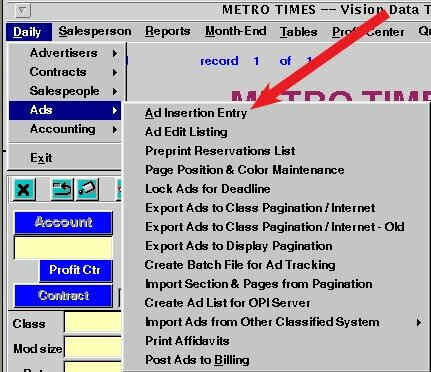 Go to the Ad Entry Screen in Vision Data, you can find it by going to Daily->Ads->Ad Insertion Entry. On the Ad Entry Screen, click the Ad Search button. Make sure the "Show Sect/Pg in Comment field" button is checked. Enter the run date of the publication. You can only check one run date at a time. NOTE: "Include ads on Hold"- You can select No because if the ads were on hold, they won't be in the paper anyway. It's up to you. If you get 1001 20, then the ad was on page A20... so 1001 55 means page A55. 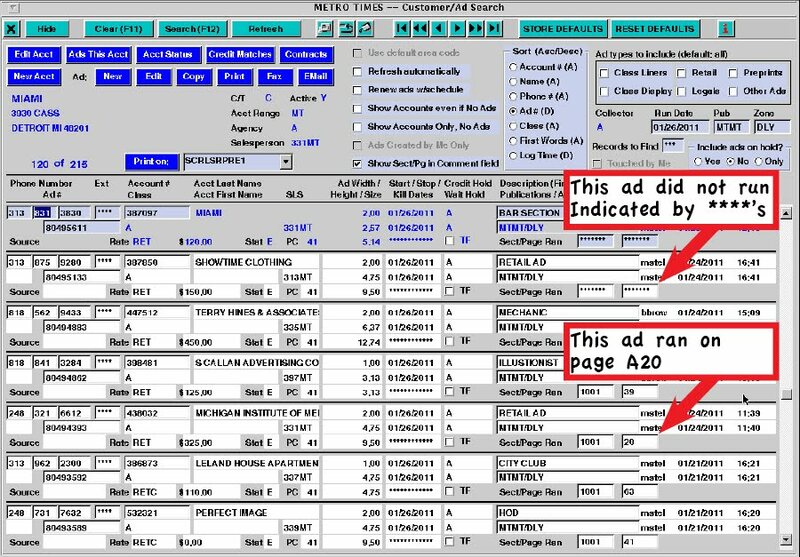 1002 20 means page B20, 1003 20 means page C20, etc etc. If none of the ads have any Sect/Page Ran info, then the file did not work. Ask the pagination/layout person to check their settings and export the file again, and re run the Import Sections and Pages from pagination report again. If you are still having issues, contact the corporate Helpdesk at x8200 or 570-504-8200.